The Unbottle has gone through several design iterations. The first one I purchased and used had simple D-rings on the sides, a hose and handle without the current quick detachable feature, an unbaffled bladder, and no fold-out drying wings. That early version got lots of use. I liked the simplicity of the no-frills design, large opening that allowed easy cleaning, and pretty light weight for an insulated bladder system. An insulated tube is available for use in winter (or summer too, since liquid in the tube can get hot in really warm temps). The more recent model has more bells and whistles, some are helpful and others I'm ambivalent about. I like the quick-detachable tube, the buckle on the handle, and the fold-out wings at the opening (when folded down they allow faster drying after cleaning). I especially like the re-tooled threading on the opening that allows secure opening/closing with only about a quarter turn, and the internal baffle that keeps the bladder from becoming a round balloon. However, I don't find the current side rings that helpful; they tend to get hung up when trying to slip it in and out of packs. Overall the unit seem more bulky, in spite of the bladder baffle. Finally, for the same stated bladder capacity, the newer version seems to hold less water than the older version. All things considered, these are nice systems. Insulated versions are not the smallest or lightest out there, but provide a nice option for those that want it. 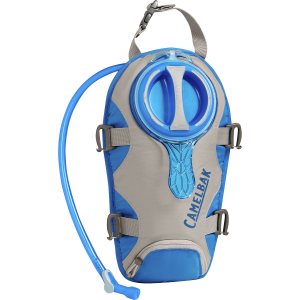 Camelbak quality is great, and this is a super-versatile hydration solution for just about any application. The Camelbak Unbottle, available in 2 or 3 liter capacities/sizes, is a cleverly designed piece of gear which allows you to add hydration in just about any situation. It consists of an outer insulating sleeve with four clip-on strap holders, a top clip-on loop, and a bottom strap. 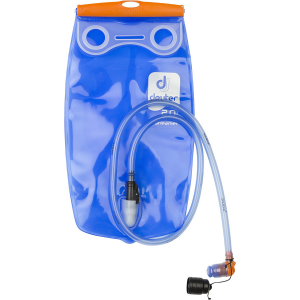 The insulating sleeve holds the hydration bladder, which has a detachable tube with a mouthpiece on the other end. The four strap clips allow you to clip this onto a backpack or any other implement which has straps, or you can supply your own straps and attach this just about anywhere you might want to. Of course you can also drop it inside an existing pack, put it in a gym bag, attach it to your fishing tackle bag, strap it to your bike frame, strap it onto your desk chair at work — the possibilities are pretty wide open. I have hydration backpacks too, but there are times when having the whole pack is overkill and the smaller Unbottle works better. I have no problems with the mouthpiece, which opens for drinking when you bite it, and have never had any of my numerous Camelbak bladders leak. There is also an "on/off" valve that you can switch for times when you're transporting the Unbottle and want to completely shut off the flow. The only negatives I can find are that it's a little bit of a pain to remove the bladder from the sleeve. 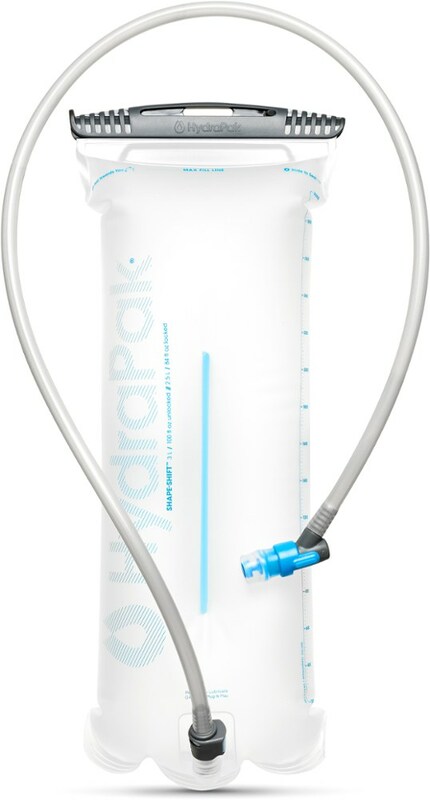 Since many backpacks have built-in hydration storage compartments, there may be times when you want to pull the bladder from Unbottle sleeve so you can use the bladder alone. You can remove the bladder, it's just tricky. More difficult is removing the tube from the bladder. I have several Camelbak bladders and can never manage to disconnect the tube from the bladder, even though it is designed to be removable. The fit is so tight that attempts to remove the tube have resulted in stretching it and deforming it a little, so I've given up trying. Cleaning the system would be easier if I could remove the tube, but I manage anyway. Neither of these issues is enough to detract from the usefulness of the Unbottle to any significant degree. Overall a great product. Big thumbs up from this user! Helpful tips I got from other online users: when you use this in hot weather, fill it with water the night before your activity and freeze it overnight. It will melt slowly while you use it and you'll have cold water all day. Also, the liquid that sits in the tube after each drink will get warm between hydration stops. Easy solution is to blow the liquid back up into the bladder when you finish a drink. It will stay cool that way amd you'll avoid a mouthful of warm water each time you drink. 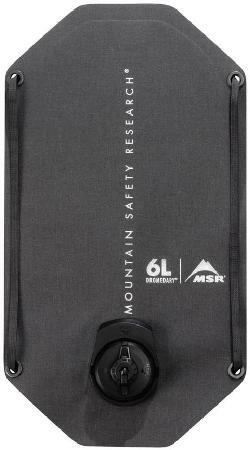 This is simply a great dromedary bag -- I used it as my primary water storage for the trail when hitting the backcountry in Zion recently, and it was just a simple bag to use. Your water stays cold -- which is nice when it's 107 degrees F outside (I presume it would remain hot as well, but never opted to try that in the heat I was facing!). Your water stays put -- the locking mechanism is secure and easy to use. Your water tastes good -- no plastic aftertaste at all! In short, it's all you'd want it to be. I had to ding it 1/2 star due to the bite valve coming off. More accurately, it would come off when I did something to pull it out accidentally (such as pulling on my pack and not realizing it was twisted under a belt or whatever). That said, if you need a very solid dromedary bag, this is the one to buy. Highly recommended! CamelBaks are the only way to go for hydration on the trail. I really like the UnBottle and the extra flexibility it provides since it can go inside or outside my pack while offering insulation for the contents. This thing rocks! It keeps liquids cool for hours, but also keeps it from freezing in the dead of winter. Sat in my pack (with insulated tube wrap) all night with temps in the teens and never froze. The lash points are great for attaching to the outside of a pack, though most packs worth their salt have internal sleeves these days. 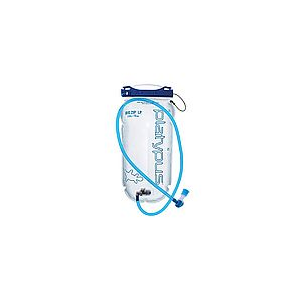 My son uses this for hydration on hot days of baseball: he just buckles it to the dugout fence and it stays up off the spit and seed-ladened floor. The 100 oz. are great for my all-day trail rides around Vail Lake, and the durability saved my spine when I endo'd over the handlebars, landing on my back (Unbottle in the pack's sleeve made for a fortunate cushion. Easy to clean. In fact, cleaning when only using water each day is not a frequent chore. Get one! Best Water System I've used to date. I like the D-ring attachment points and the wide mouth makes for easy filling. I hang it from a tree in camp and it makes pouring fresh water a breeze. A veritable kitchen faucet. It's easy to clean too.